Ralph was born in New York City in 1957 and moved to Florida in 1969, graduating high school in Miami in 1975 and obtaining a BA in criminal Justice and a law degree from the University of Florida in 1979 and 1982, respectively. Ralph moved to Tampa in 1982, passing the Florida Bar that same year and has lived and worked in Tampa ever since. Ralph is the head of the Firm’s family law practice group, where he routinely represents individuals in both initial and post judgment dissolution matters, whether through litigation, mediation or the collaborative law process. 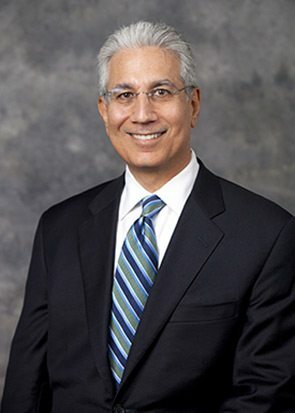 He also has an extensive commercial real estate and business litigation practice, and has represented a wide array of corporate and individual clients in cases involving business dissolutions, construction disputes, landlord tenant law and other real estate and business-related litigation. His in-depth understanding of both personal and corporate financial, as well as property related issues, provides a valuable resource to the firm’s clients. Ralph is an Officer and Master of the Family Law Inn of Tampa. He is a past officer and director of the Tampa Metropolitan Area YMCA and was one of nine officials on the Florida Commission on Human Relations. Ralph is married to his wife, Bonnie, a social worker with Big Brothers, Big Sisters of Tampa Bay, and has a daughter and stepson. He enjoys reading, running and music in his spare time.